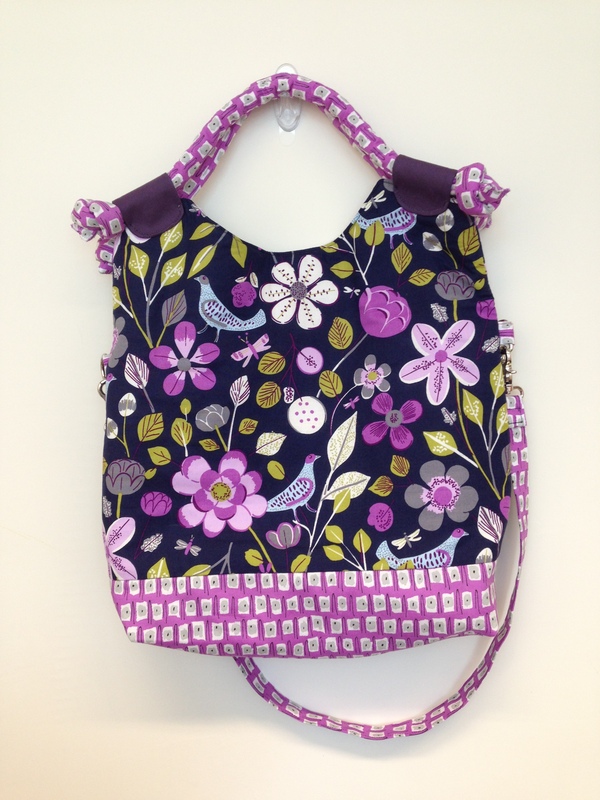 This is another bag pattern I am testing fo Sara Lawson – SewSweetness called Lapin Noir Bag‏. This bag is suitable for an intermediate to advance level sewer. 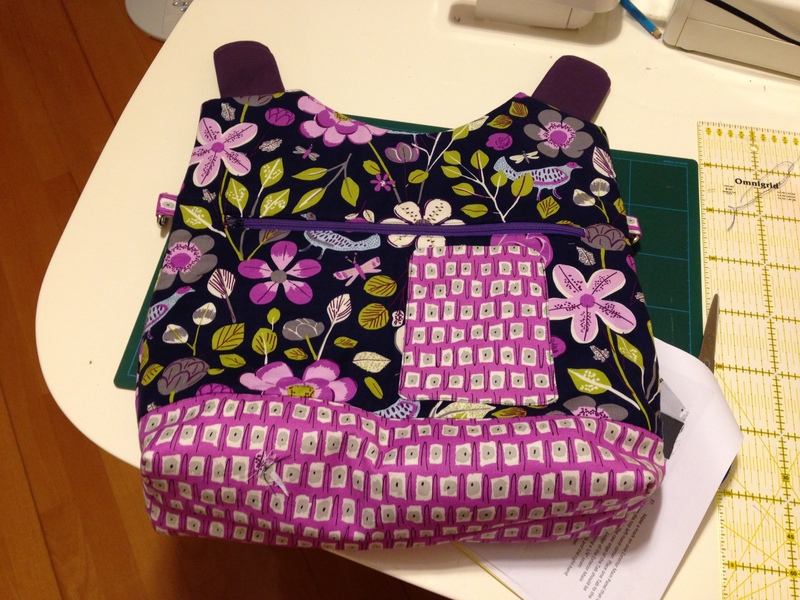 This bag took me half day to cut all the fabrics and do the interfacing, another half day to sew the bag together. 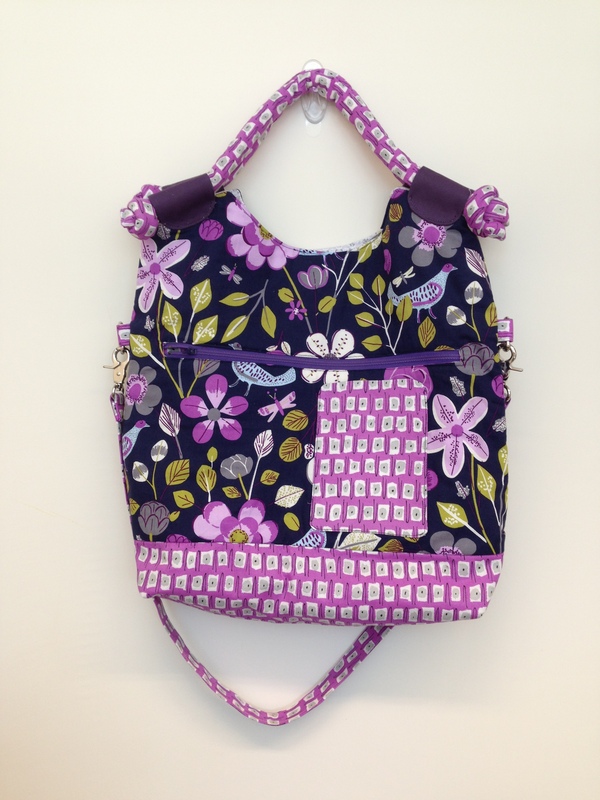 This is an very interesting bag design, featuring converts from handled tote to a large carry bag. 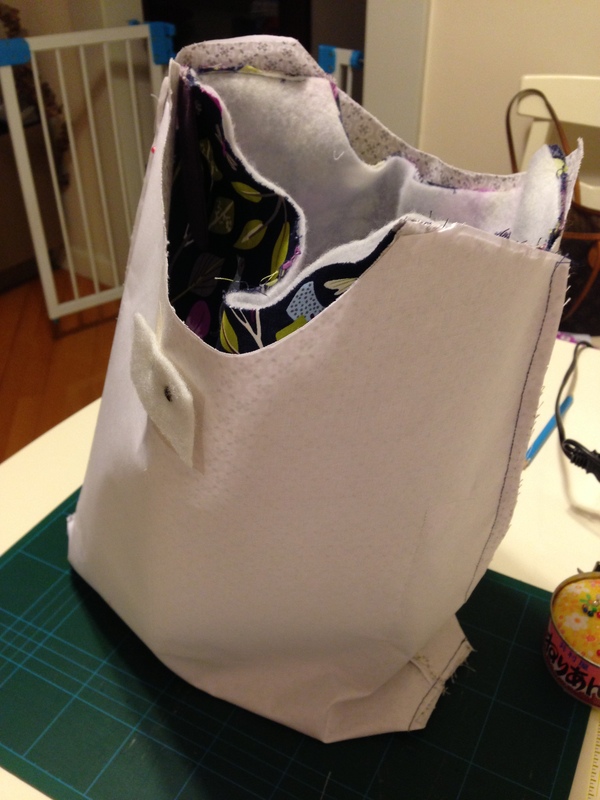 There is an zipper pocket and mobile pocket at the back. Interesting corded handle with pretty knots at each end. 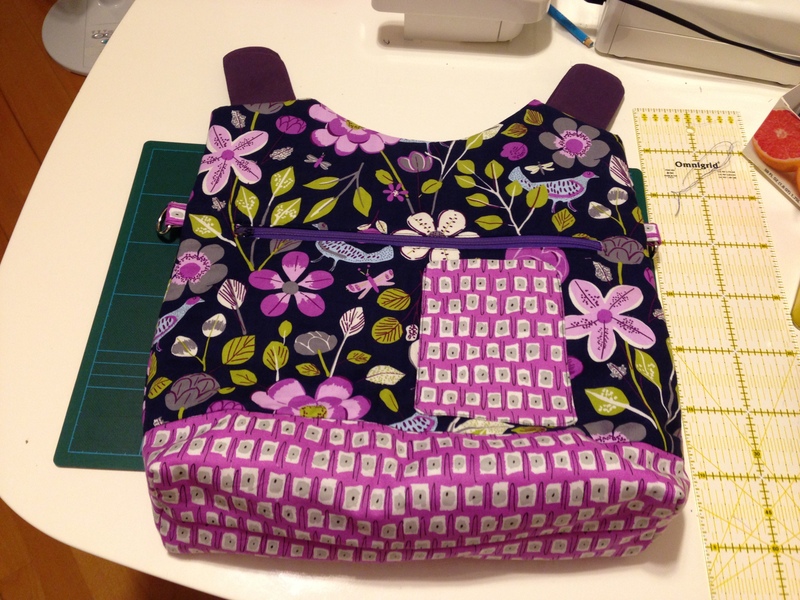 The extended long strap is attached with the swivel clips. 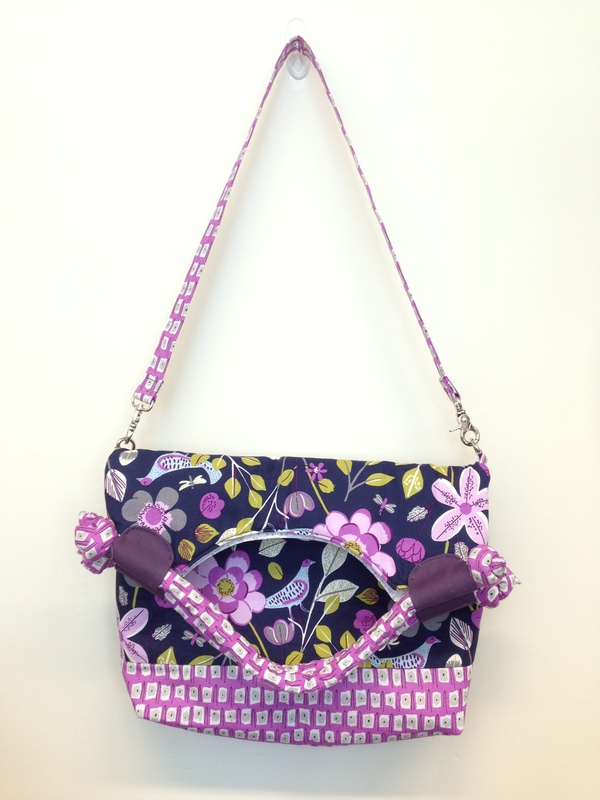 Fabric from Vera Bradley with vibrant purple with foral print. 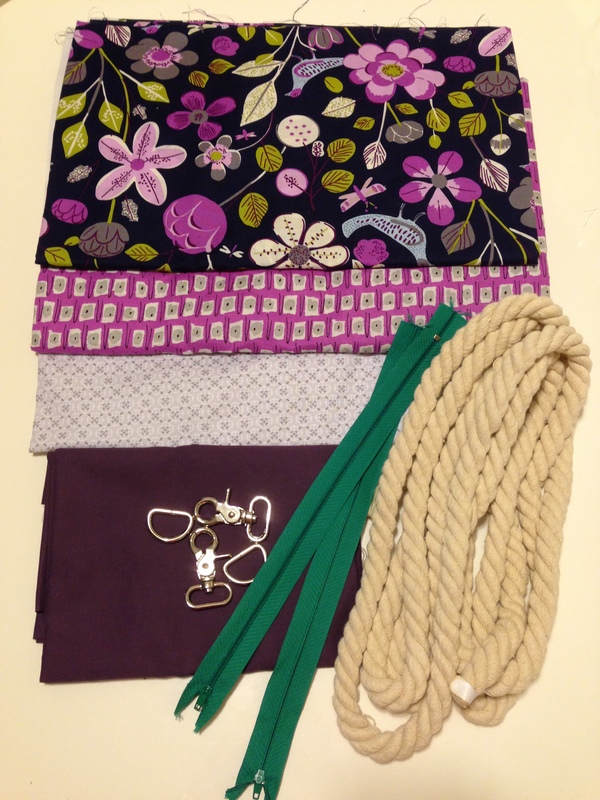 I have taken some photos during the making of, which gives you some idea how this bag comes together! 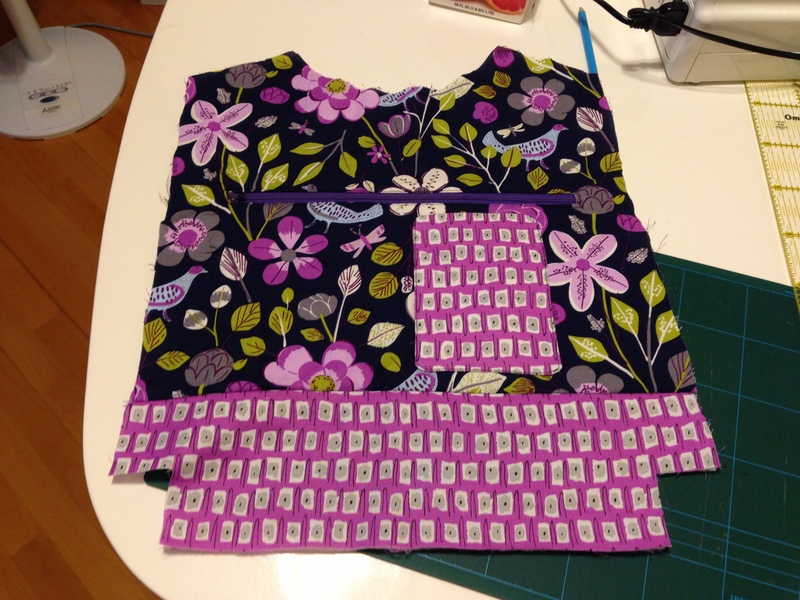 Putting the inner and outter piece together and prepare to sew the top together. Turn the bag inside out and thee you have the bag. Next, assemble te handle with cord and making the strap.